Homes for that relaxing getaway. An exciting home is created for the person looking for a design with a unique style. The beauty of the exterior compliments the large open spaces found inside. A screened porch offers a delightful outdoor living space and the Dining Area with rear yard view can serve a multitude of purposes. 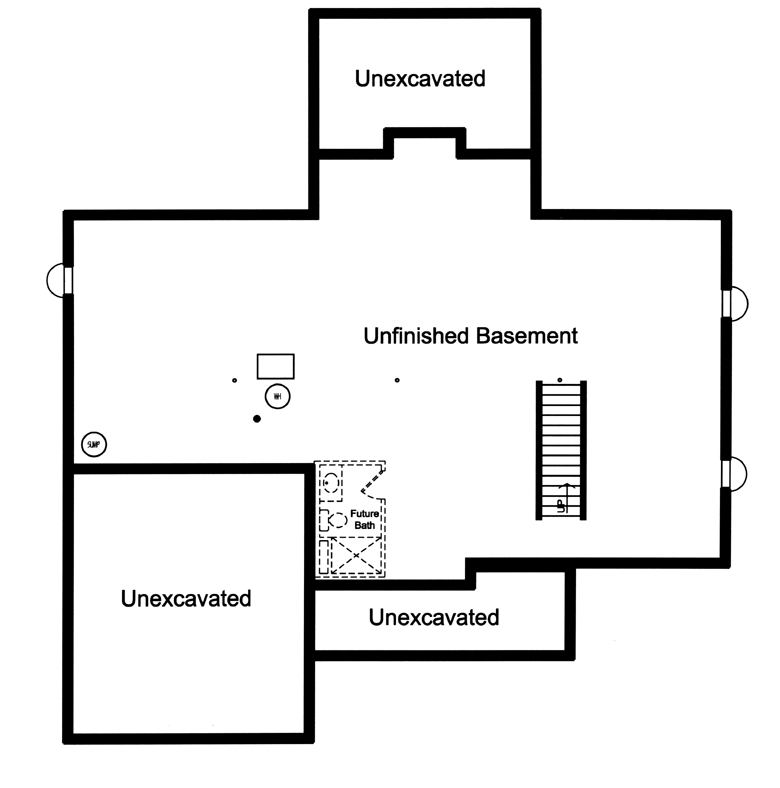 Turned stairs lead to a three bedroom second floor with a Master Suite that showcases a fireplace and private bath. 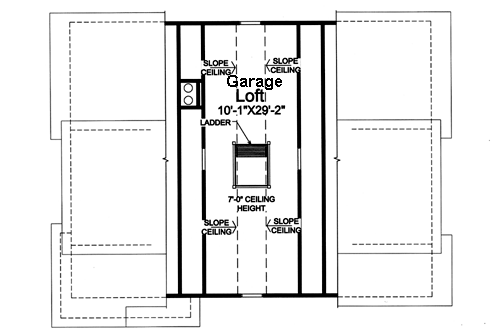 A loft above the garage offers an abundance of storage. 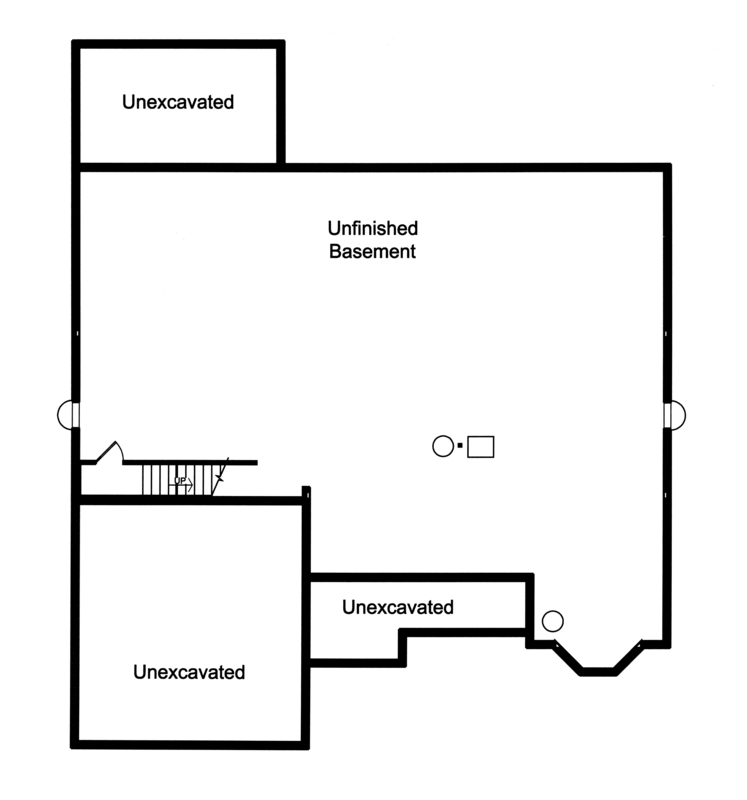 This home is drawn with a conditioned crawl space and is expected to be built as a summer cottage or a lakefront or mountain view home. 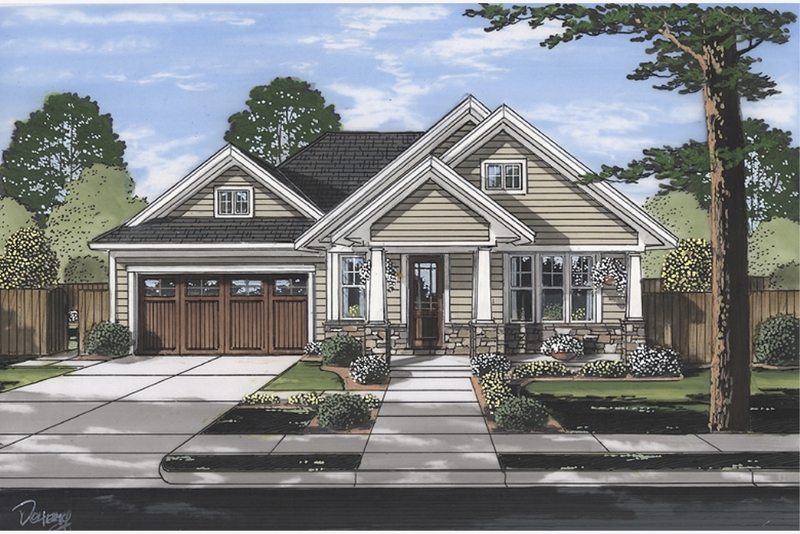 This charming Craftsman Style cottage boasts a large front porch and introduces an open floor plan to meet the needs of today's market. The living room enjoys a gas fireplace and an island with seating in the kitchen offers a space for quick family meals while the dining room provides for larger gatherings. 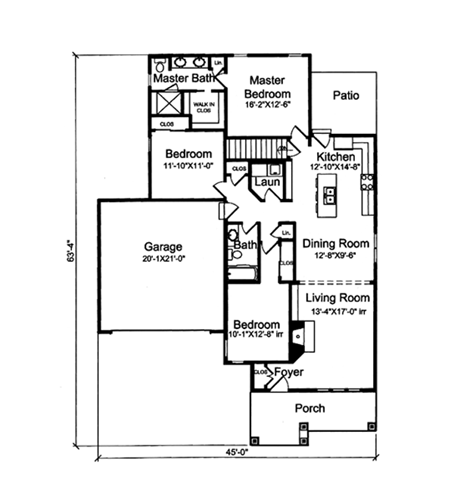 Access from the garage offers easy transition to a full bath, laundry room and direct access to the kitchen. The master bedroom is set to the rear of the home and pampers the homeowner with a double bowl vanity, larger shower enclosure and walk-in closet. Two additional bedrooms and a full basement complete this period styled home offering an older home ambiance with modern conveniences. 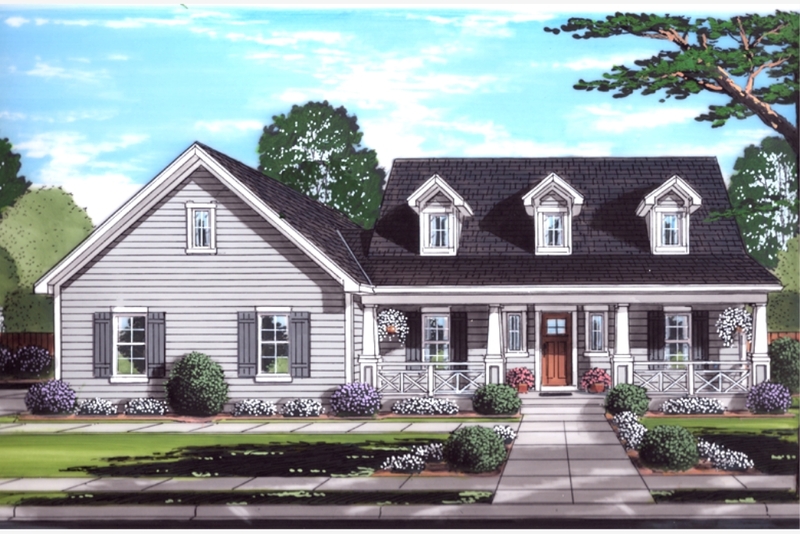 Drawn to fit a narrow lot, this design can complement an infill lot or fit a stand-alone home in a senior living community. Split bedrooms, high ceilings, open floor plan and gas fireplace combine to offer a home that is great for everyday living, an empty nester with frequent guests or a vacation get-away. 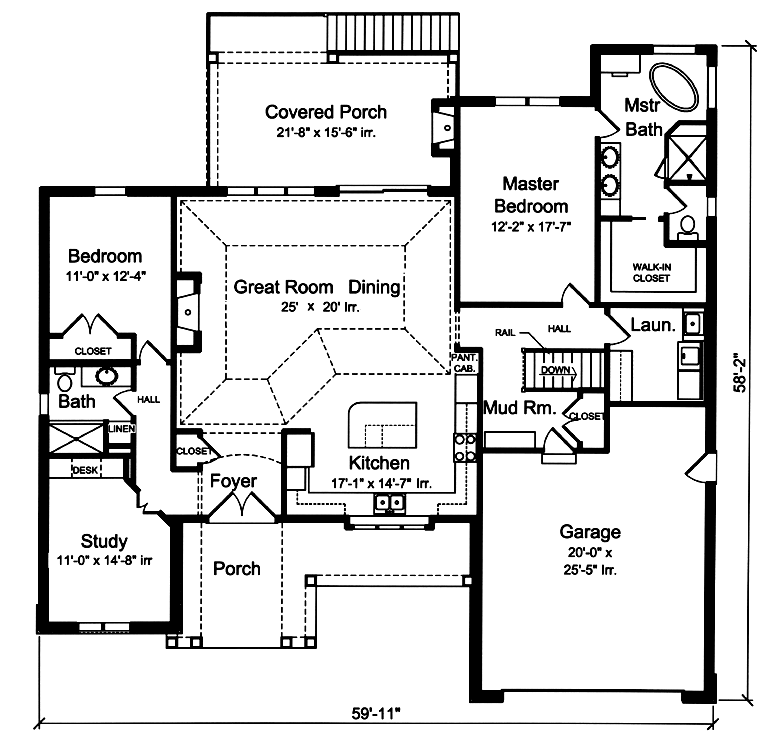 The front study easily converts to a 3rd bedroom if desired. The large island with seating anchors the spacious kitchen and triple windows above the sink offer an infusion of light and a great view to the front yard. 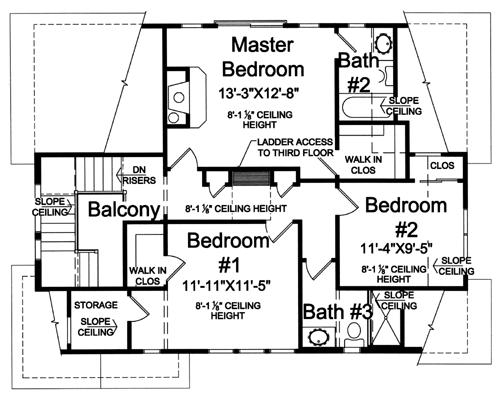 The master suite showcases a free standing tub, shower enclosure, commode room, double bowl vanity and spacious walk-in closet. 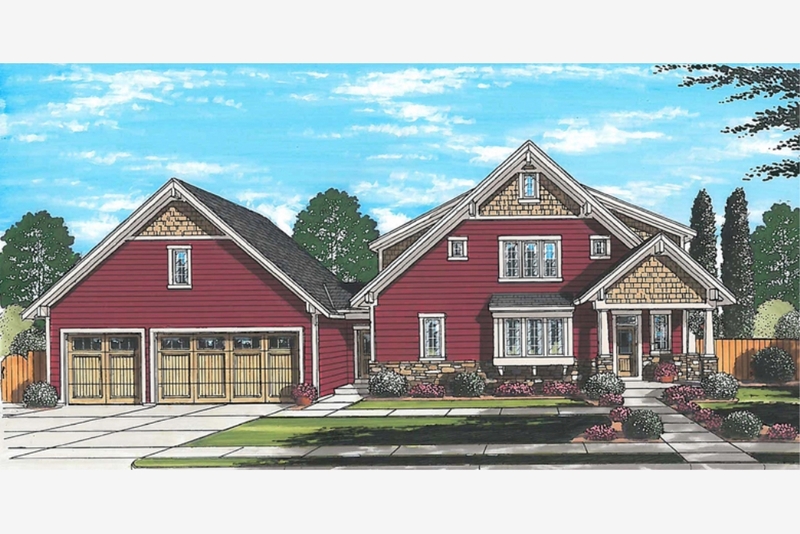 A covered front porch and covered rear deck offer outdoor enjoyment and the walk-out basement foundation makes this perfect for a sloped lot. A beautiful exterior of stone and siding with a covered front porch sets the stage for a delightful one level, 3 bedroom home with high ceilings, open floor plan, gas fireplace, rear yard views and a master suite to pamper the homeowner with the luxury of a whirlpool tub, double bowl vanity and shower enclosure. 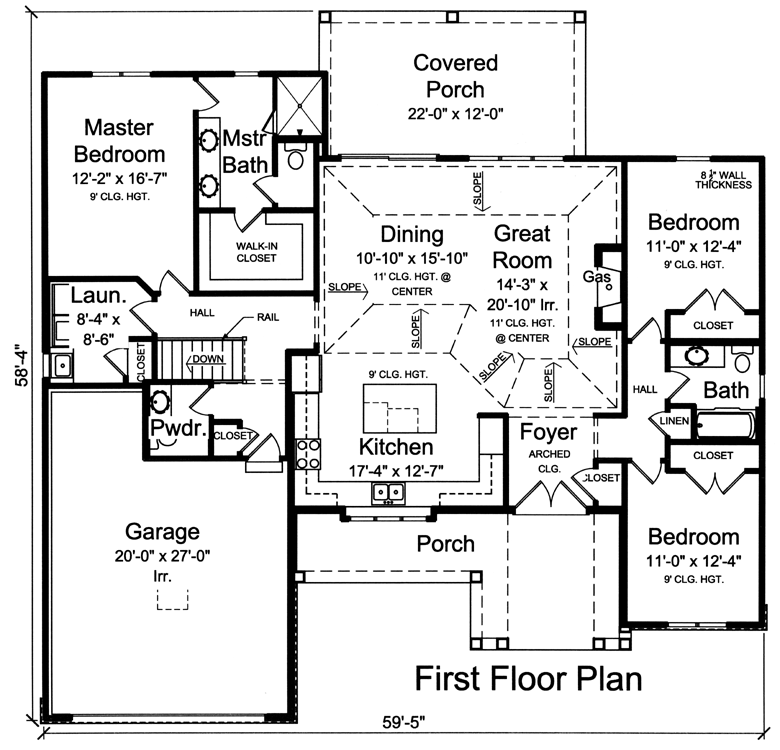 This plan also includes an alternate master plan without the whirlpool tub and a larger shower for an option that may better fit your needs. A large island with seating defines the kitchen area and makes a great party gathering area. 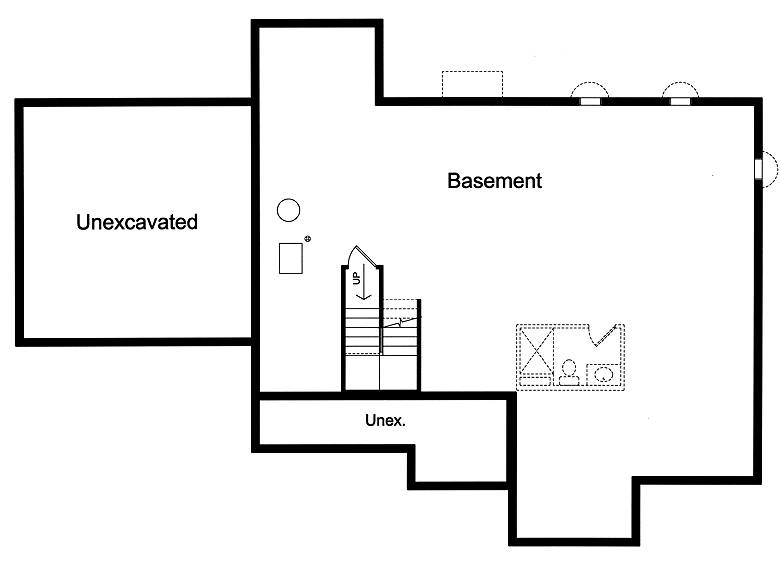 A full basement is standard with this plan and offers room for additional storage and/or future finished living space. 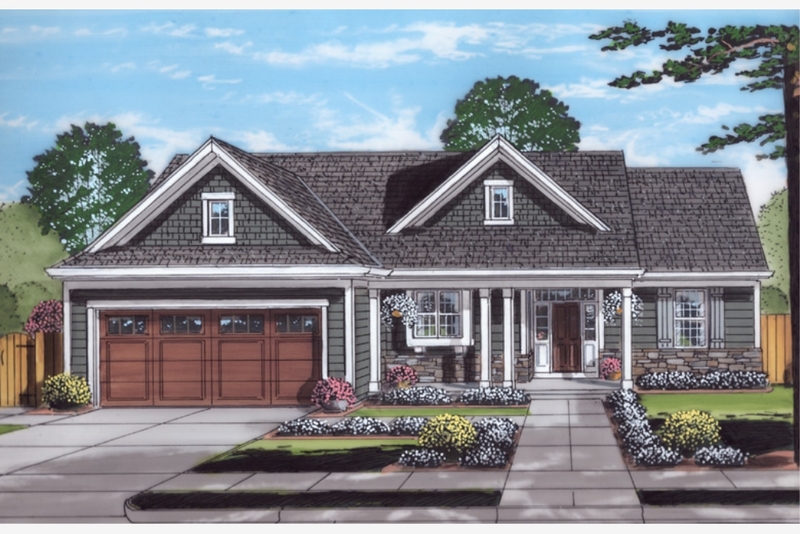 A popular Craftsman exterior, with front and rear covered porches, creates an exciting home featuring one level living. The Great Room, Dining and Kitchen areas offer an open plan concept that is spectacular in design, featuring a wall of glass at the rear, vaulted ceiling and gas fireplace. 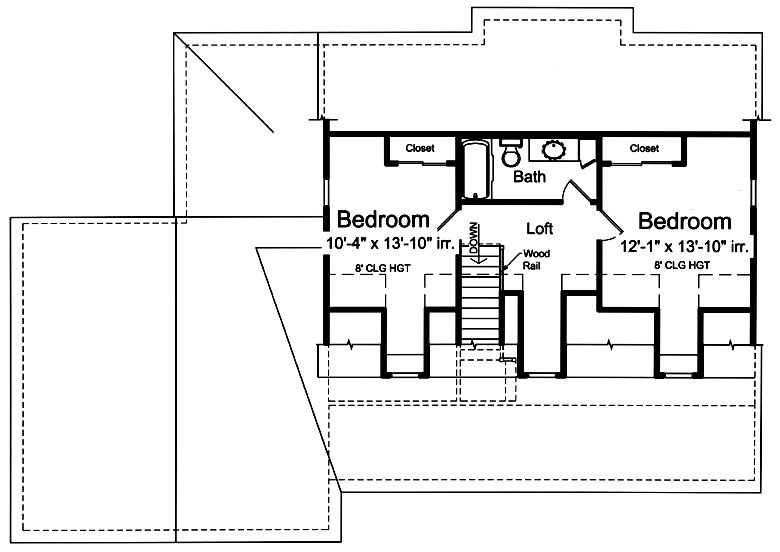 The split bedrooms offer privacy for the homeowner and the Master Suite features a rear view, double bowl vanity, large shower and spacious walk-in closet. 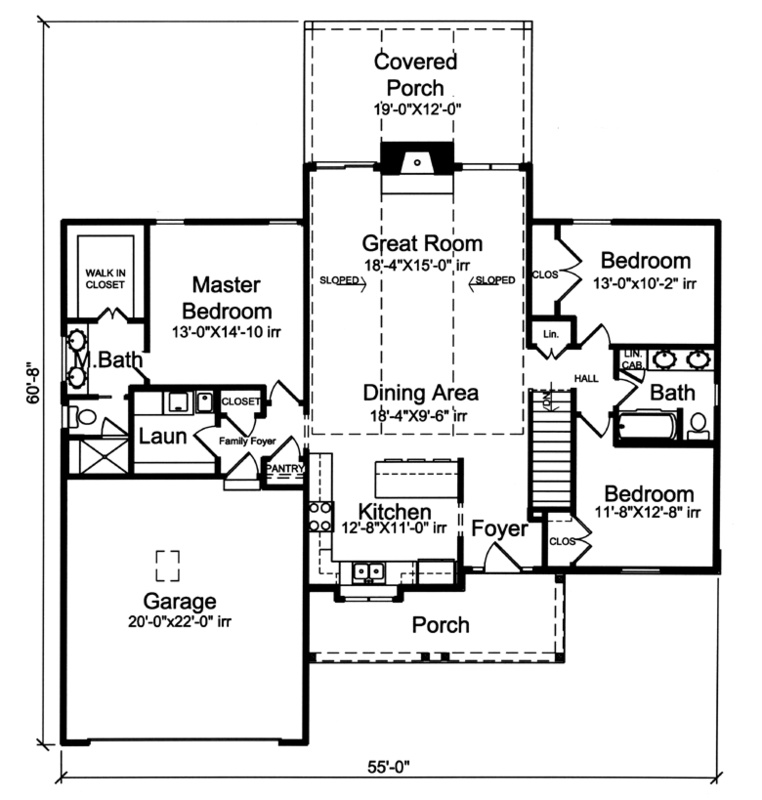 A 1/2 bath and laundry room are located near the garage entry. 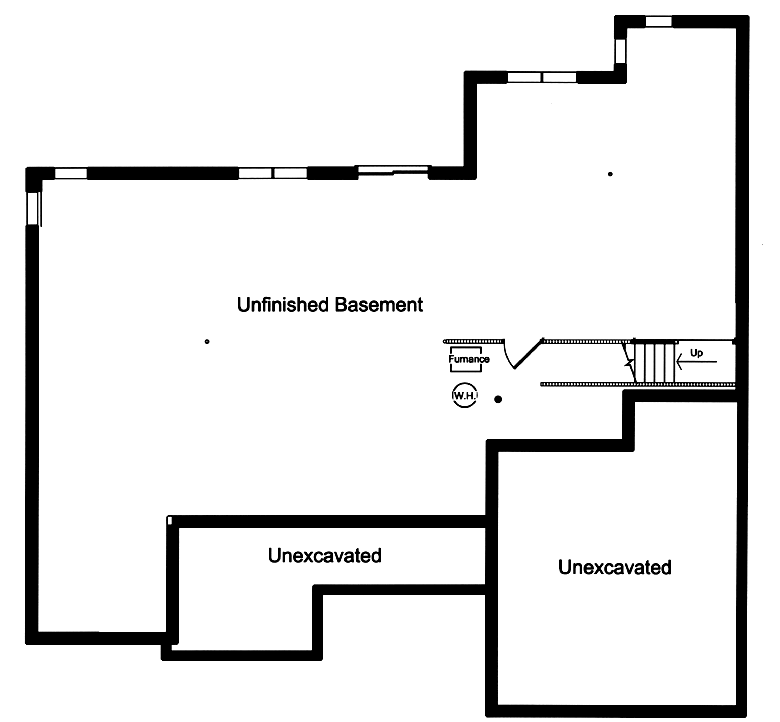 A full basement is included with this plan offering expanded living space if needed. 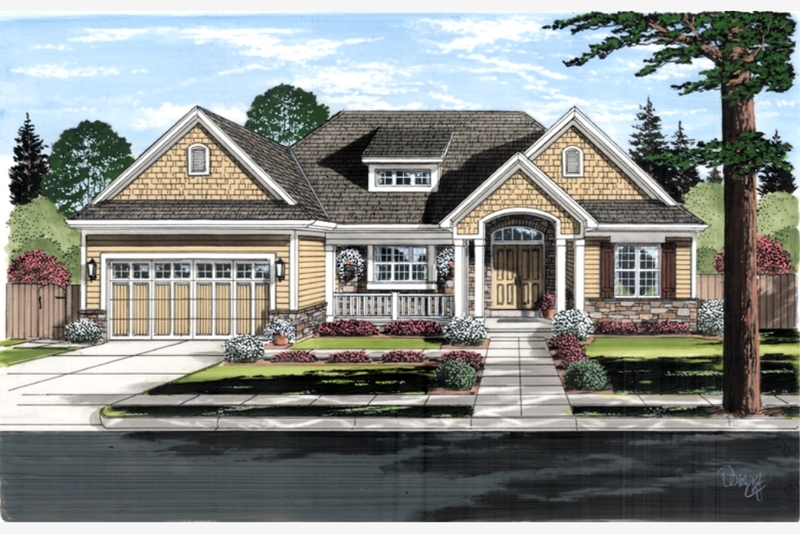 This beautiful home of siding and shakes speaks of a vacation home/retreat. The open floor plan of the extra-large Kitchen with island and Living Room with fireplace lends itself to a truly Great Room for communal gathering. The Dining Room enjoys a rear yard view that is shared by a restful Living Room, Screened Porch and Deck. The Mud Room area makes a great transition from outdoor activities. Three bedrooms and the Laundry are located on the sleeping level of the home with the Master Bedroom enjoying a walk-in closet, double bowl vanity, shower and view to the rear yard. 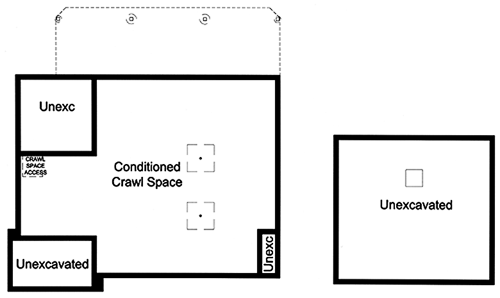 Each of the other bedrooms also enjoys a private bath and large closets. A three car garage provides storage for outdoor toys and the loft provides additional storage or can be converted to more sleeping space if needed. This charming cottage style home offers a wonderful option as a choice for an empty nester, first time homebuyer or vacation home. 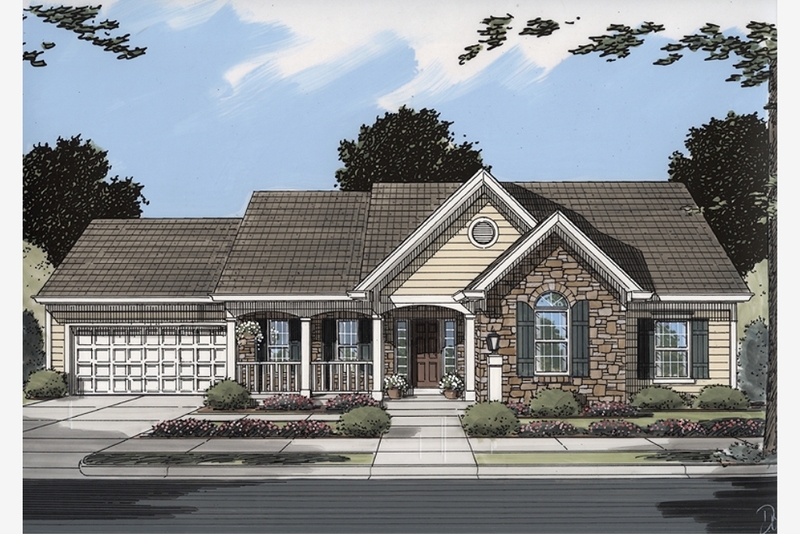 Siding and stone decorate the exterior while the covered front and rear porches provide for outdoor enjoyment. 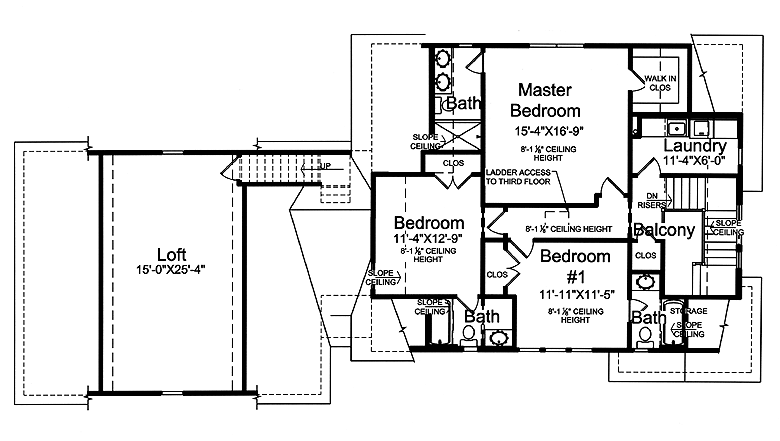 Split bedrooms offer privacy for the Master Suite featuring a walk-in closet, double bowl vanity and private shower and commode room. 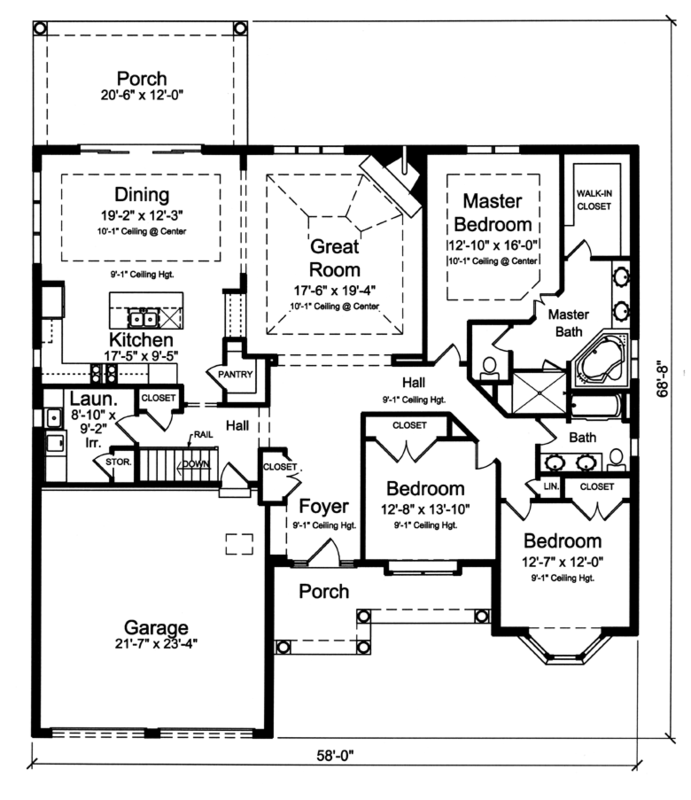 The Laundry room is conveniently located near both the Master Suite and the garage. 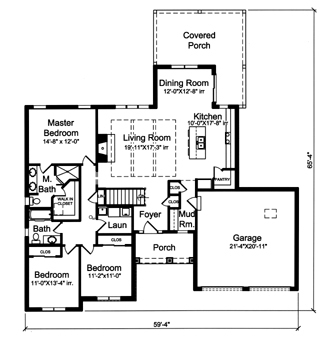 The center of the home showcases a Kitchen with a bar and seating, a formal Dining Area and Great Room with fireplace. 9 foot ceiling heights are featured throughout the home with a sloped ceiling topping the Great Room/Dining Area vaulting to 12'. A gas fireplace warms the space. 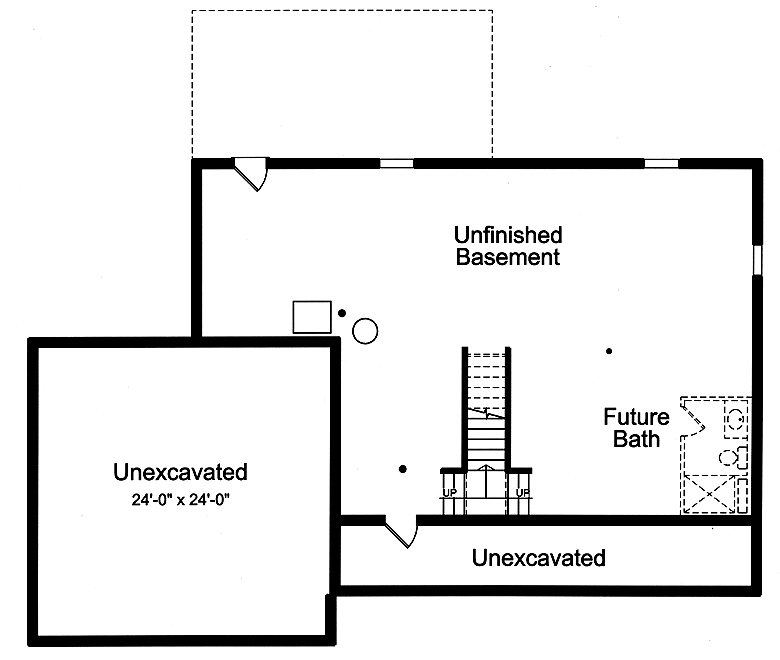 Two additional bedrooms set to the opposite side of the home and a bath with double bowl vanity and linen cabinet complete the first floor. 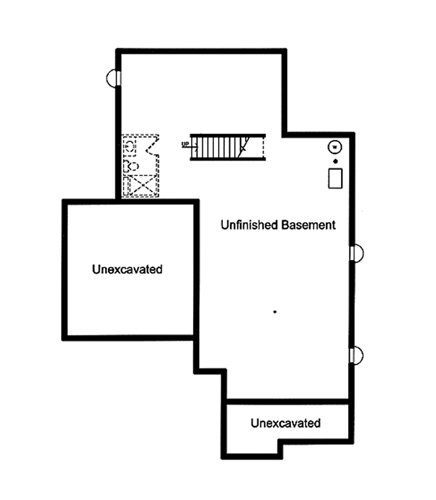 This home comes with a full unfinished basement offering additional living space if needed. 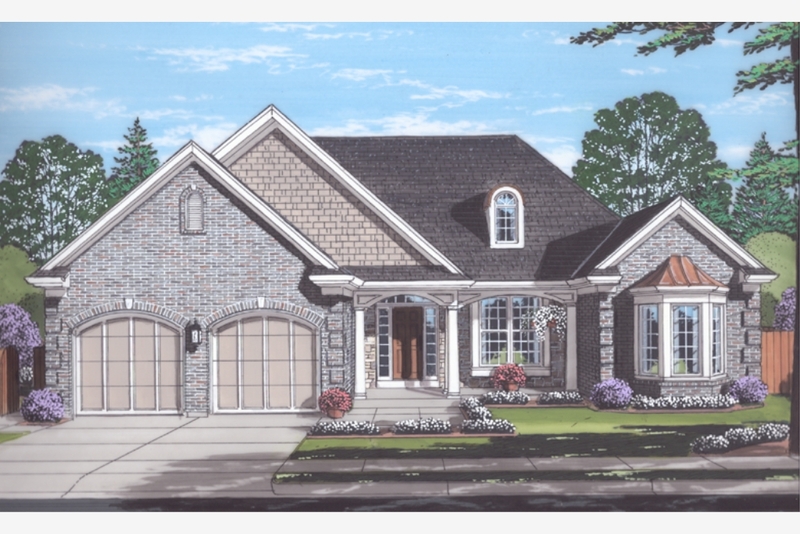 The Craftsman exterior design of this home showcases a brick, stone and siding facade providing color and texture for a beautiful curb appeal. The one level design suggests step saving convenience and the open floor plan creates oversized spaces for family enjoyment. The 7' island with seating defines the Kitchen and the offset Dining Room can function for casual or more formal dining and accesses the rear porch for outdoor enjoyment. A gas fireplace and a 10' beamed ceiling decorate the Great Room. Of special note is the Mud Room which serves for a tidy drop zone for mail and miscellaneous items as you enter the home. 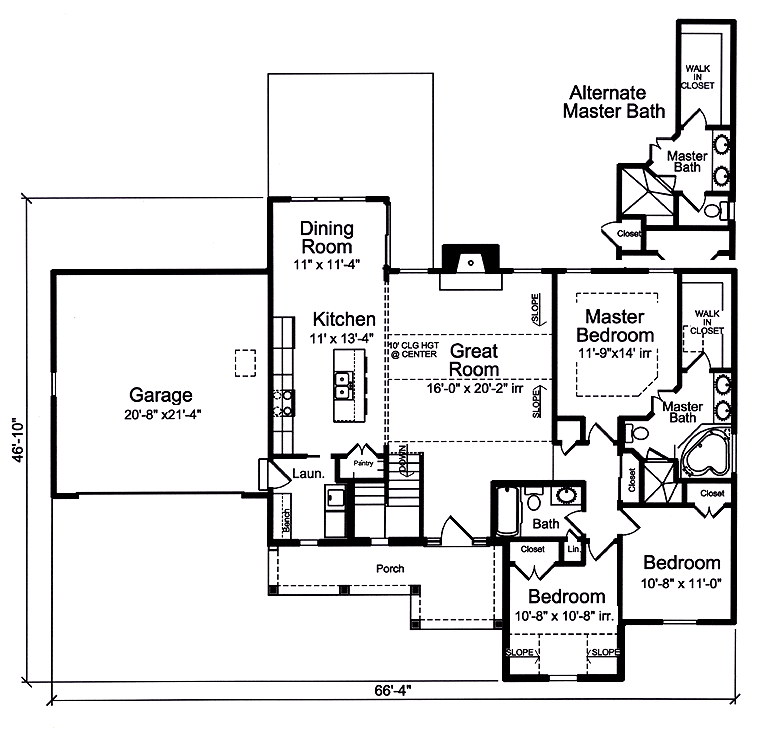 The Master Bedroom pampers the homeowner with a double bowl vanity, oversized shower and walk-in closet. 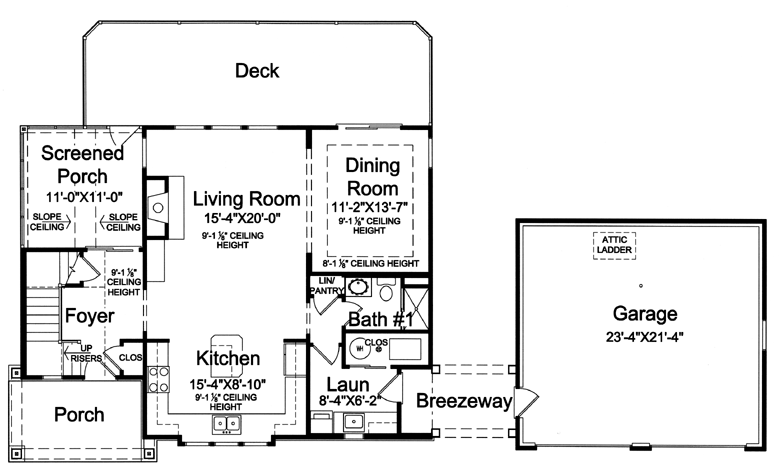 Two additional bedrooms and a laundry room conveniently located close to the bedrooms complete the first floor. 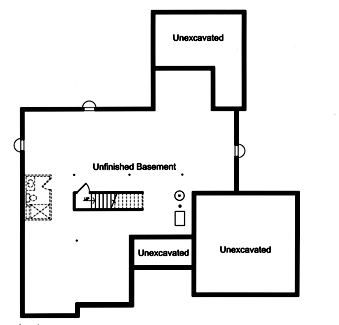 A full basement comes with this plan offering additional living space if needed. 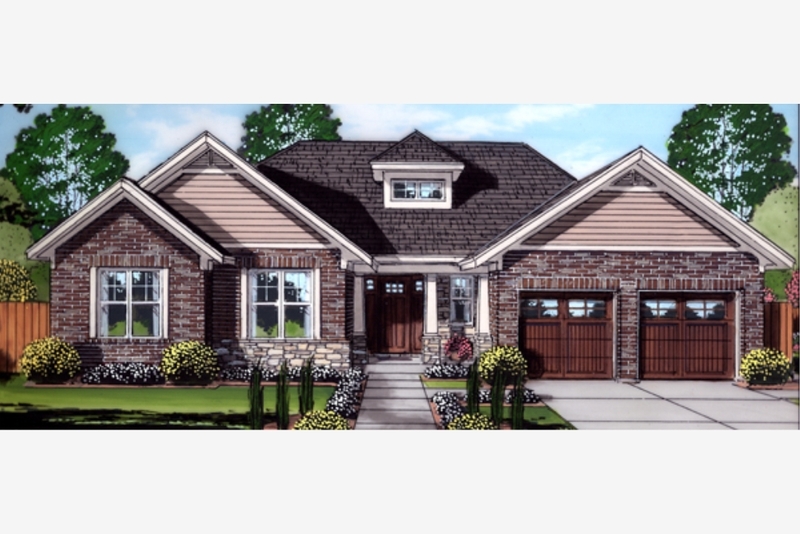 This charming one level home with brick, stone and cedar shake siding will be a beautiful addition to any neighborhood. 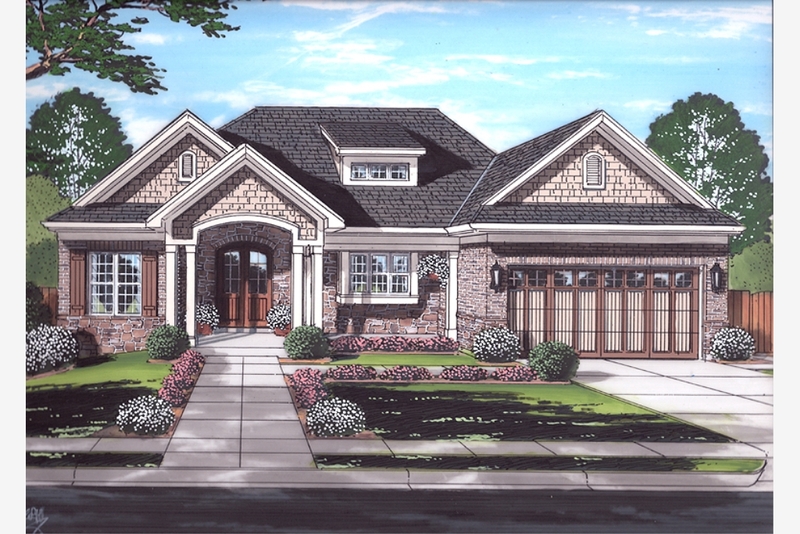 The open floor plan features a Great Room with Gas Fireplace and 10' vaulted ceiling height. 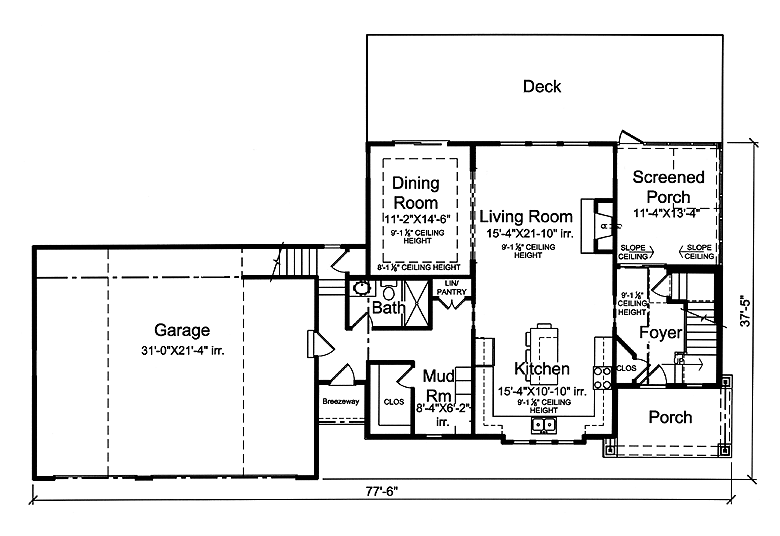 Also enjoying a 10' ceiling height the plus sized Dining Area offers expanded space for large family gatherings, while a 7' island with seating and walk-in pantry modernize an efficient, funtional kitchen. A wall of sliding glass doors offers a wonderful view to the outdoors. The double bowl vanity, whirlpool tub, walk-in closet and large shower create a luxurious atmosphere for the Master Suite. Two additional bedrooms complete this home making it a great choice for a growing family or for the empty nester. 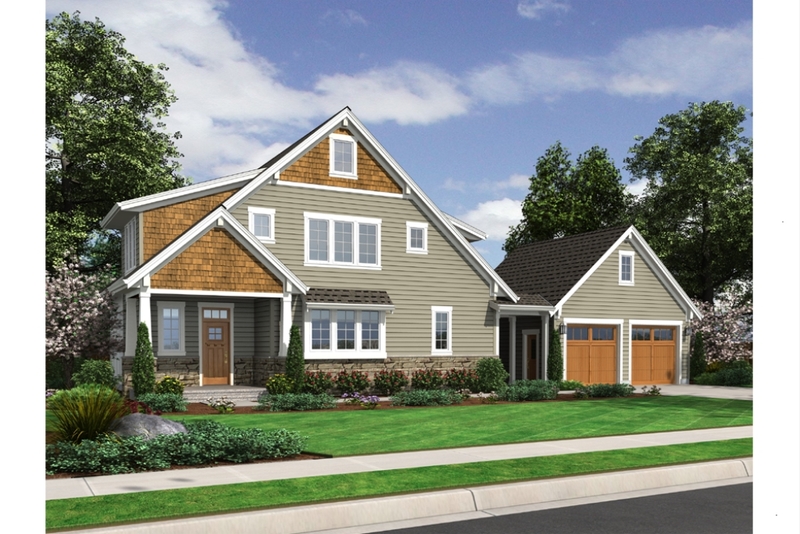 A Cape Cod exterior with covered front porch and oversized side entry garage offers a large Great Room with gas fireplace, and a first floor Master Suite with double bowl vanity, shower and large walk-in closet. The open Kitchen with island and Dining Area combined with the Great Room provide a space that feels much larger than its actual size. 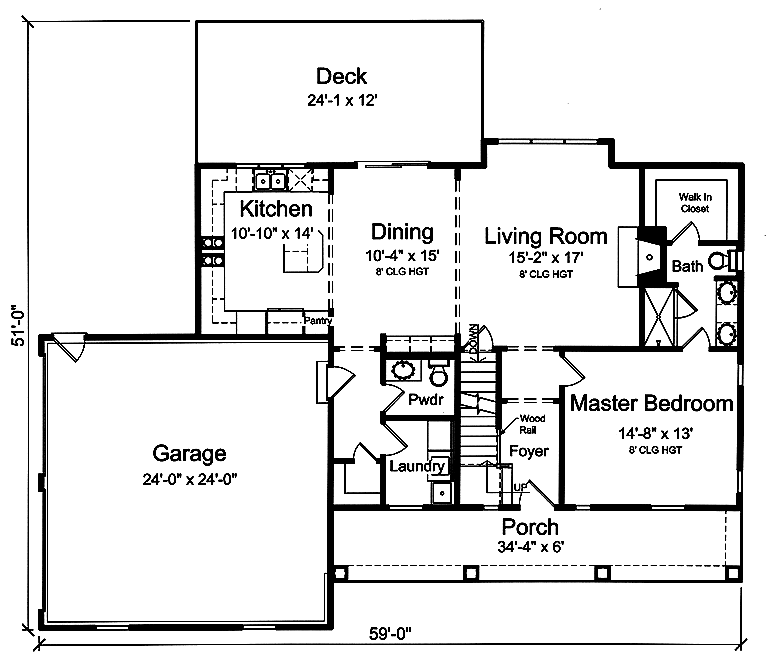 Organized to form a mud room and family entry, you will find a half bath, laundry room and storage closet. 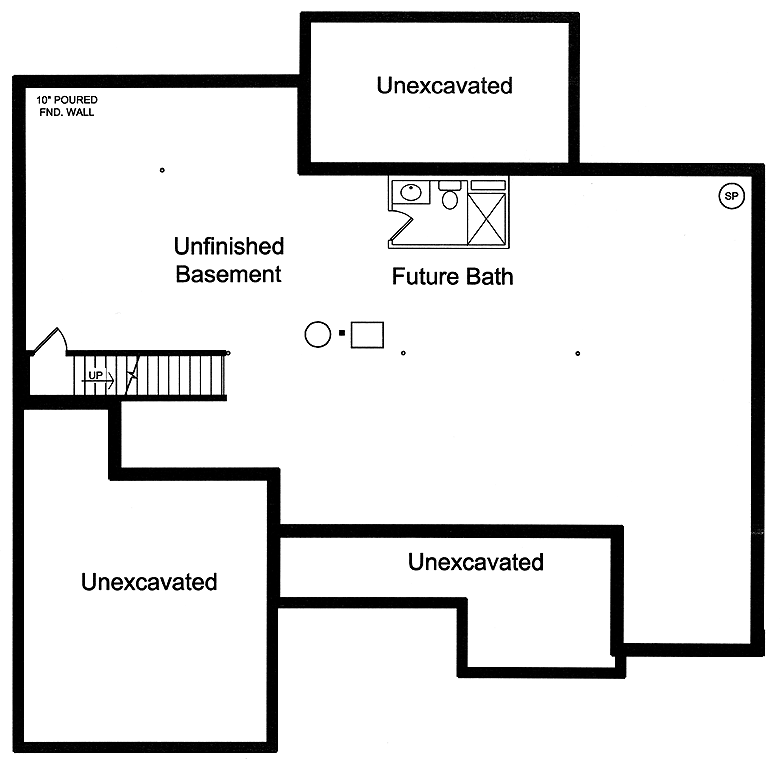 The upper level features a spacious loft with bath access and two additional bedrooms. 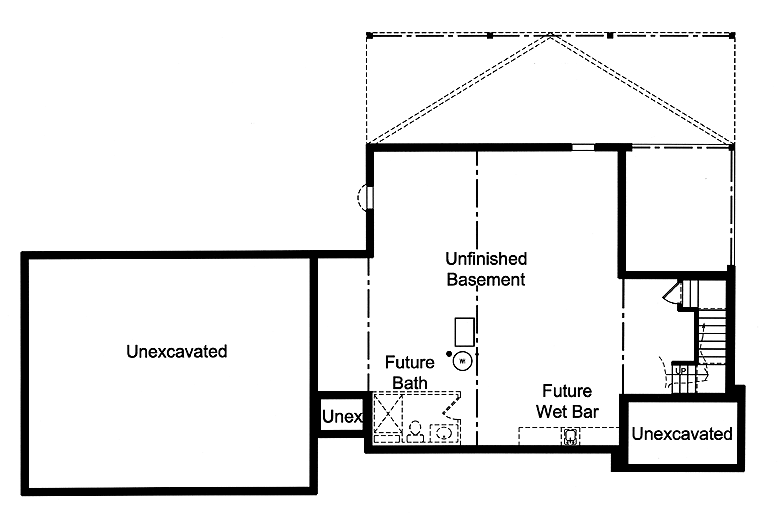 The wall-out basement offers an outstanding opportunity for additional square footage if needed, making this home a wonderful option for your family in a residential development or for a lakefront or mountain retreat.